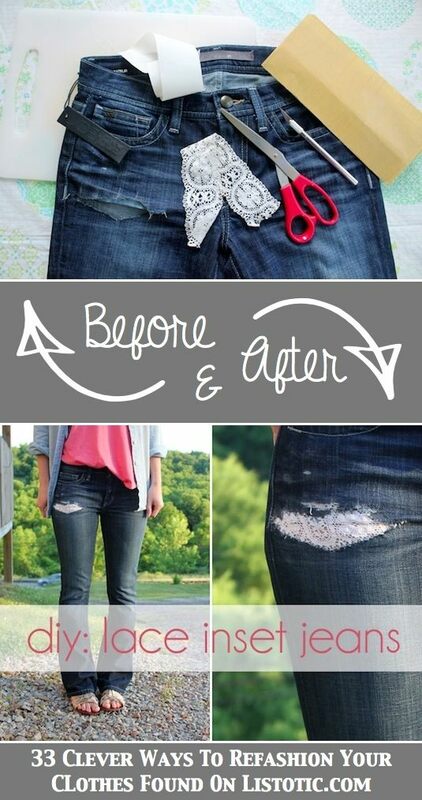 Have a rip or tear in your jeans? Patch it up with lace! Or, to get this look, use scissors to create a horizontal rip. There’s very little sewing required, and instead of using a sewing machine, you could even create a sewing pattern by hand that would look really nice with the lace.